It’s a Saturday night in mid-October. The undefeated Alabama Crimson Tide have come into Donald W. Reynolds Razorback Stadium to take on a fellow undefeated SEC rival in the Arkansas Razorbacks. The stakes of the game and a long day of pregame festivities have brought this soldout crowd of 72,000 to a fever pitch as they enter the final seconds of the fourth quarter with a 31-28 Razorbacks lead. Yet on the last play of the game, the referees call what seems like a phantom pass interference call on Arkansas in the end zone, setting up an extra play and eventual Alabama win. The capacity crowd erupts in anger. The kind of sports-induced flash blindness that makes normally rational people say and do temporarily irrational things that they wouldn’t do in any other setting. Now imagine if several thousand people in that crowd all had loaded handguns. That’s the very real predicament that the NCAA, conferences, universities and fans will all have to consider during sporting events in Arkansas after the state’s governor signed a gun rights measure into law Wednesday that will allow concealed handguns at state colleges and other government buildings. Any resident with a concealed handgun license will be allowed to bring their weapon into these public places as long as they undergo eight hours of active-shooter training. The law won’t take effect until January 2018, but this has to be somewhat of a terrifying prospect for administrators who now face the prospect of sending their athletes and staffs into a hostile environment with opposing fans who are carrying live weapons. 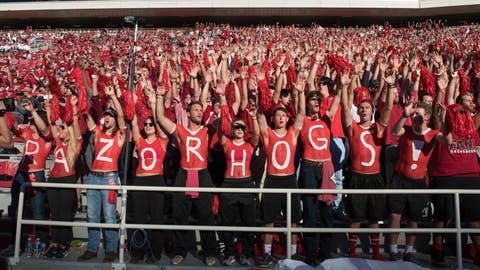 As it stands right now, fans at Razorback Stadium are not allowed to bring in beach balls, umbrellas or baby strollers, but by the 2018 season they will be able to bring in licensed firearms that could potentially fatally wound fellow spectators, players and officials. And even if every gun owner packing heat inside the stadium happens to be a responsible one, is it fair that coaches and players not only have to worry about protecting themselves from opposing defenses but from any number of safety hazards in the stands? Do we want to bring the possibility of legal guns into scenes like the following, which occurred after an upset loss to Toledo in 2015? Prior to this legislation, universities in Arkansas all had the individual choice to allow faculty and staff to carry concealed handguns on campus if the schools allowed it. None of them did. In a January statement regarding the then bill, HB 1249, University of Arkansas chancellor Joseph Steinmetz spoke out against the potential legislation. “The University of Arkansas agrees with the governor’s position that the current law allowing local boards of trustees to disallow the carrying of guns on campus is working and doesn’t need to be changed,” Steinmetz said on January 24th. If the university chancellor’s opinion isn’t enough, what about the representative whose Fayetteville district includes the University campus? So while the head of the university and a local lawmaker realize what a potential safety hazard this law could be, there’s not much they can do about it at this point. 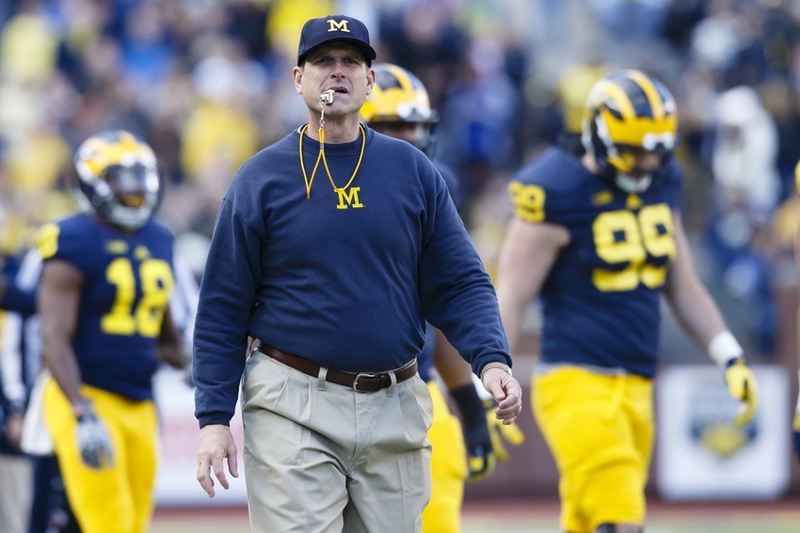 But this is where specific conferences and the NCAA in particular can apply their might. Arkansas football is the biggest spectacle in the state, followed by its basketball program. If the NCAA (with the support of every other athletic director in the SEC) issues a blanket statement that for the safety of its student-athletes and staff, they will not allow opposing teams to play in Arkansas while this campus carry law remains in effect, the social and economic pressure would force a change in the law. While the NCAA didn’t impact events at individual universities in the state with their reaction to North Carolina’s 2016 HB2 “bathroom bill,” they did pull seven championship events in 2016-17 with over 100 more in the next four years in jeopardy at a cost of reportedly over $250 million in lost revenue to the state. If the governor and state representatives in Arkansas who voted for the bill wouldn’t listen to their university chancellor about the common sense risks of arming a portion of sports fans at live events, maybe they’ll listen to the threat of having their teams (and massive revenues) forced to play every game out of state until the law is repealed. Or at the very least altered to keep guns out of stadiums and arenas. It’s on the NCAA to make them hear it. 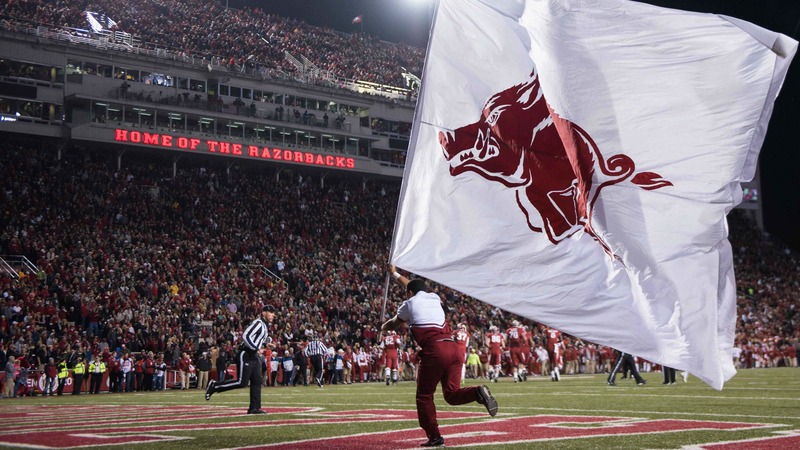 UPDATE: The Arkansas senate has voted to exempt sporting venues from this law.